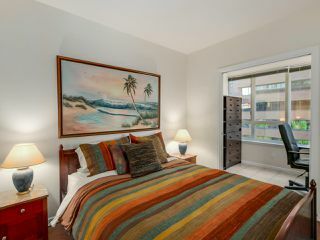 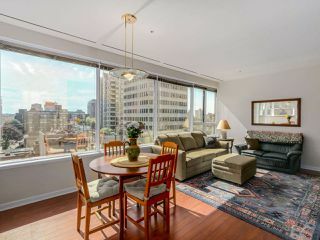 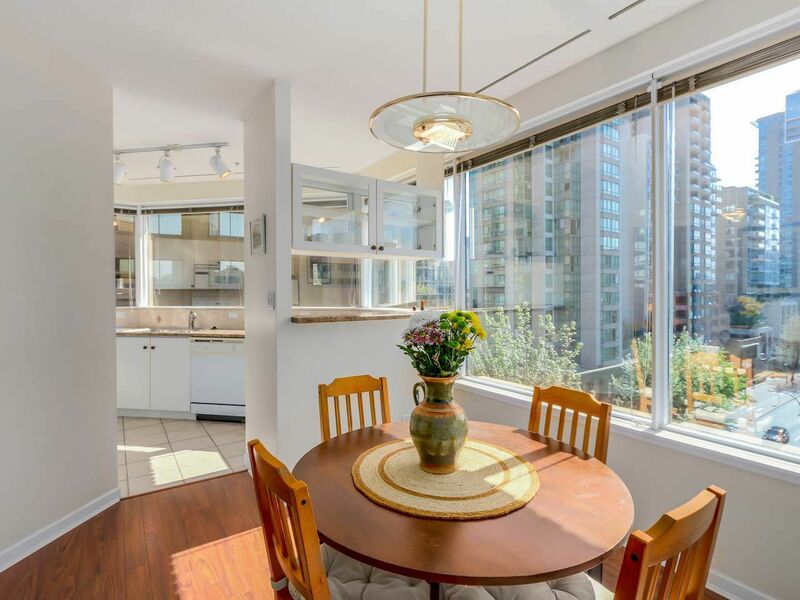 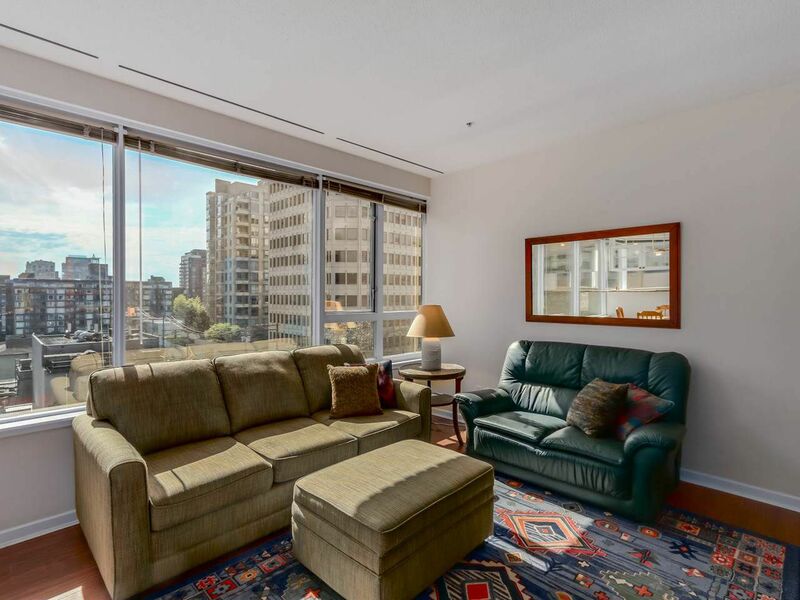 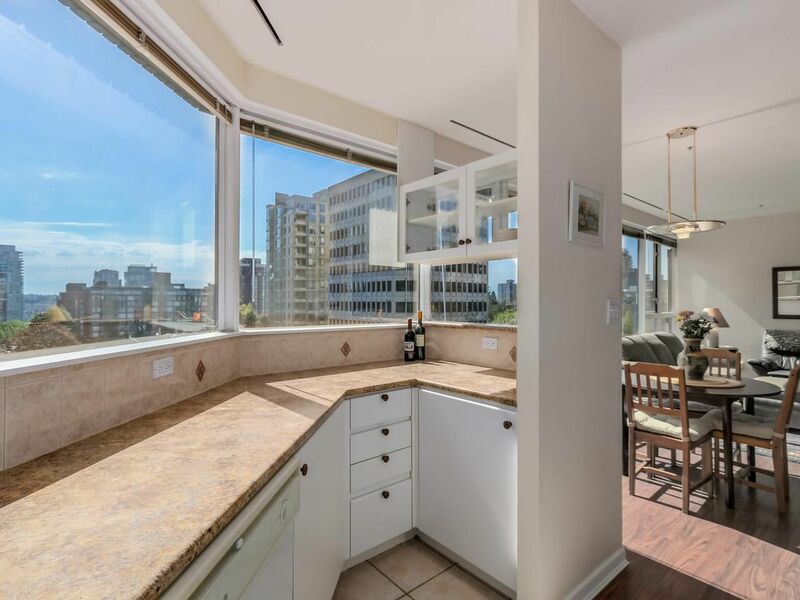 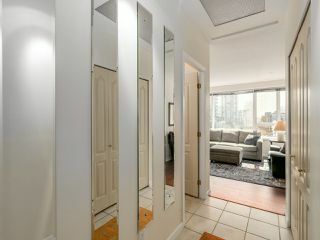 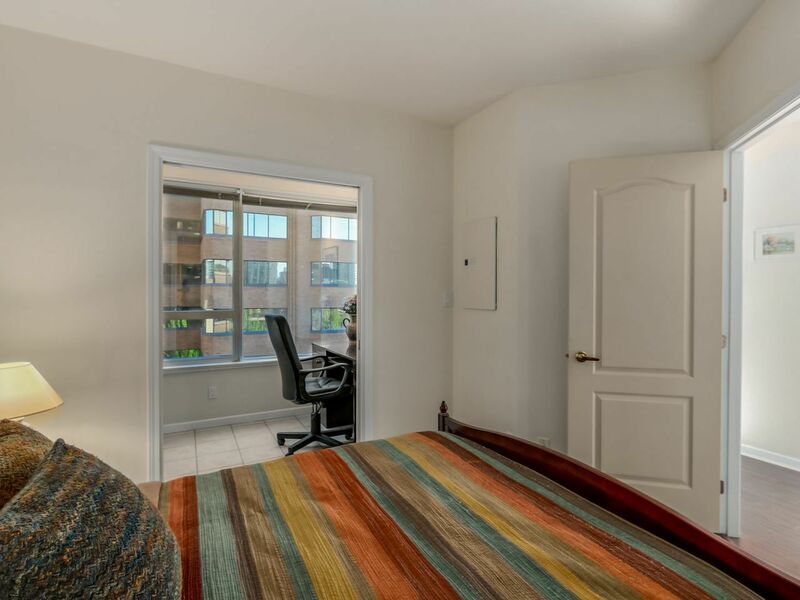 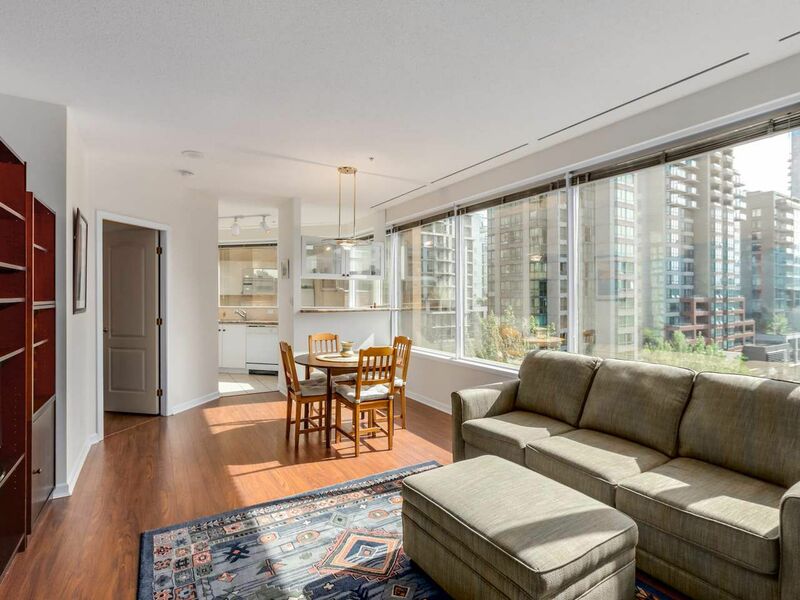 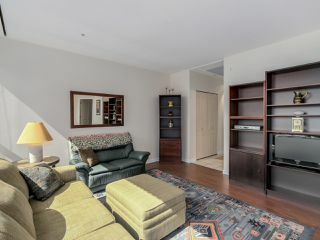 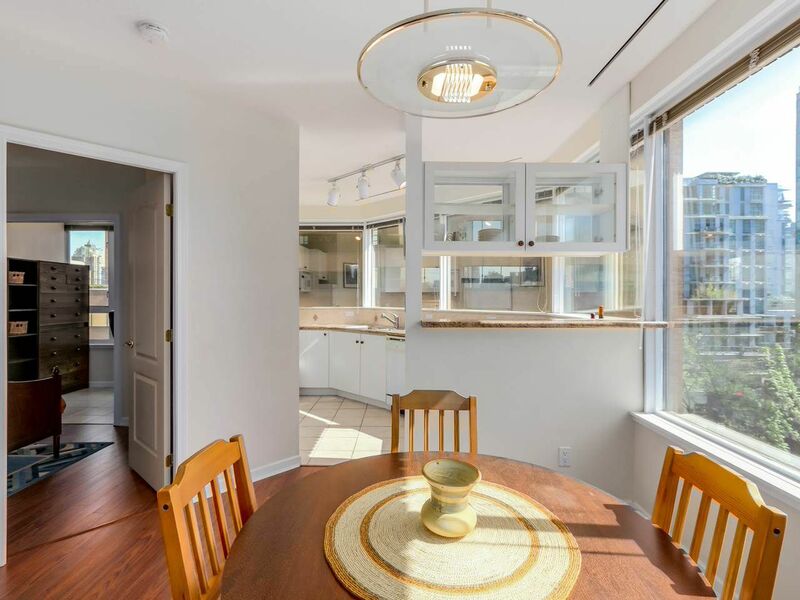 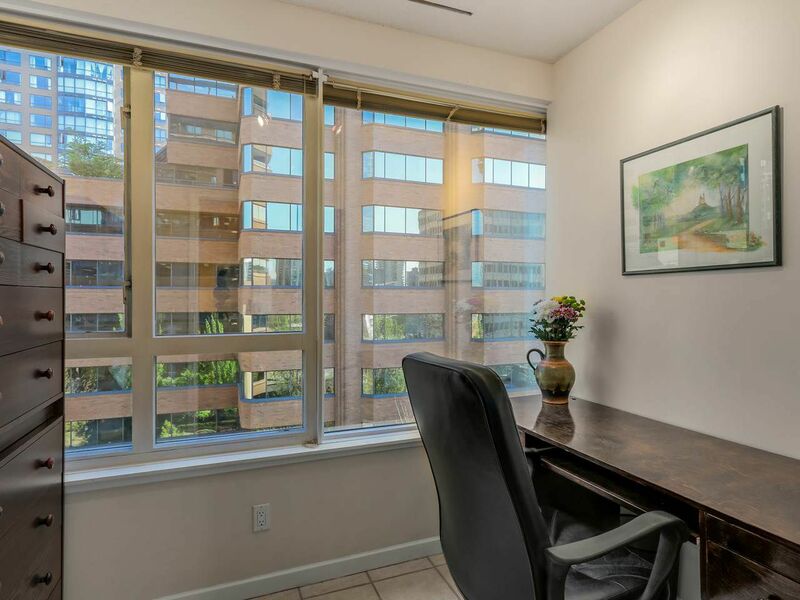 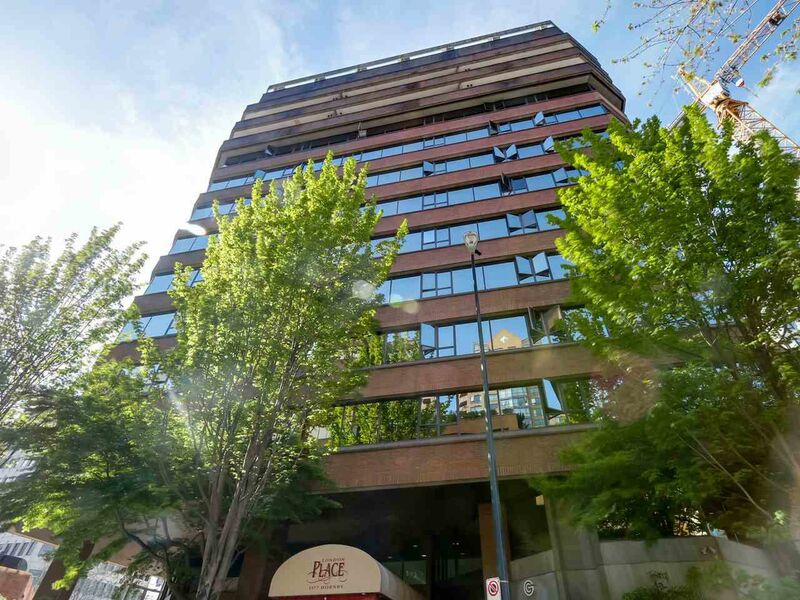 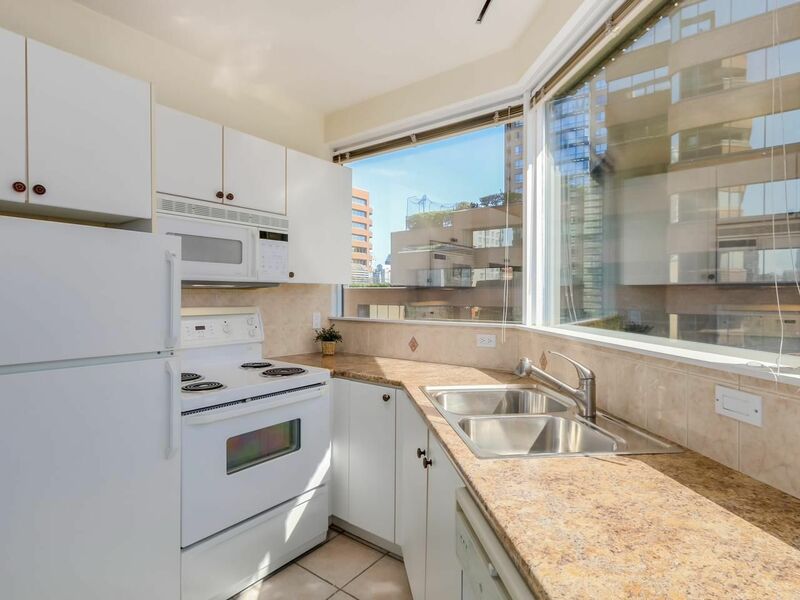 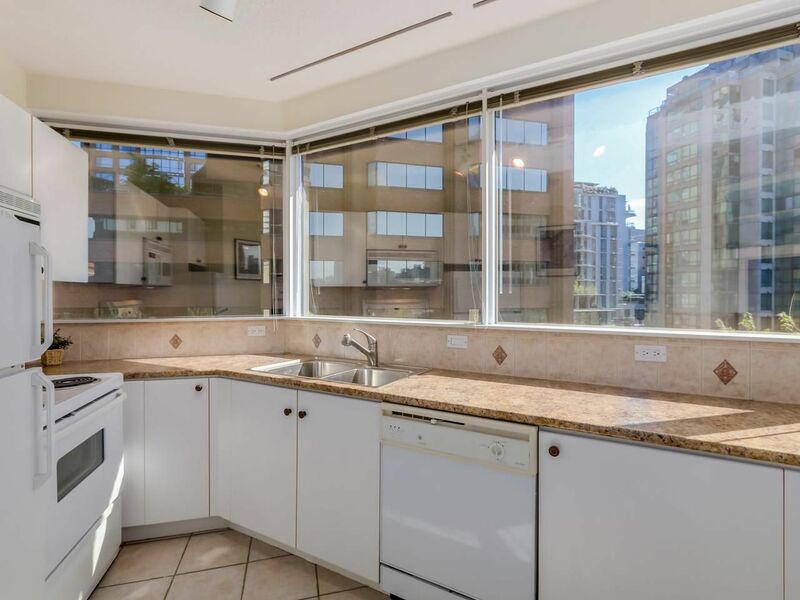 This BRIGHT & SPACIOUS 1 bedroom & DEN condo greets you with a WALL OF VIEWS! 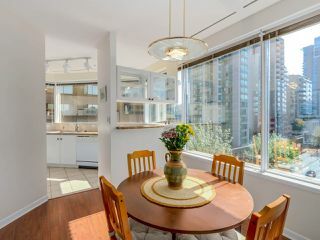 The foyer leads into the open living, dining, & kitchen areas, which are all framed by city views. 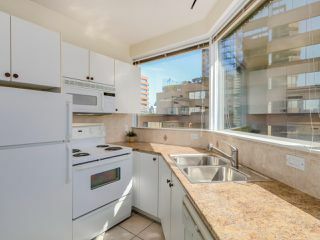 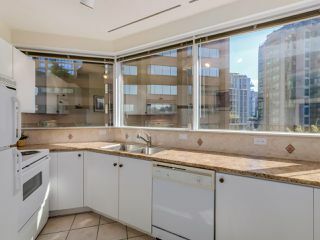 Chefs at heart will love watching the downtown world while they cook. The Master has a large closet & access to the DEN/OFFICE. 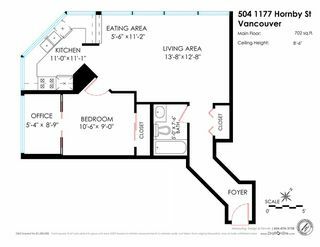 London Place has 4 new, modern elevators, visitor parking, excellent CRF, a rooftop exercise & hot tub area where you can enjoy English Bay views. 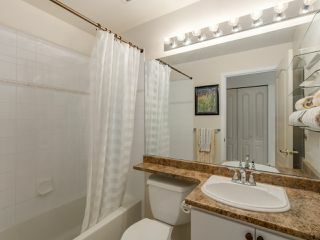 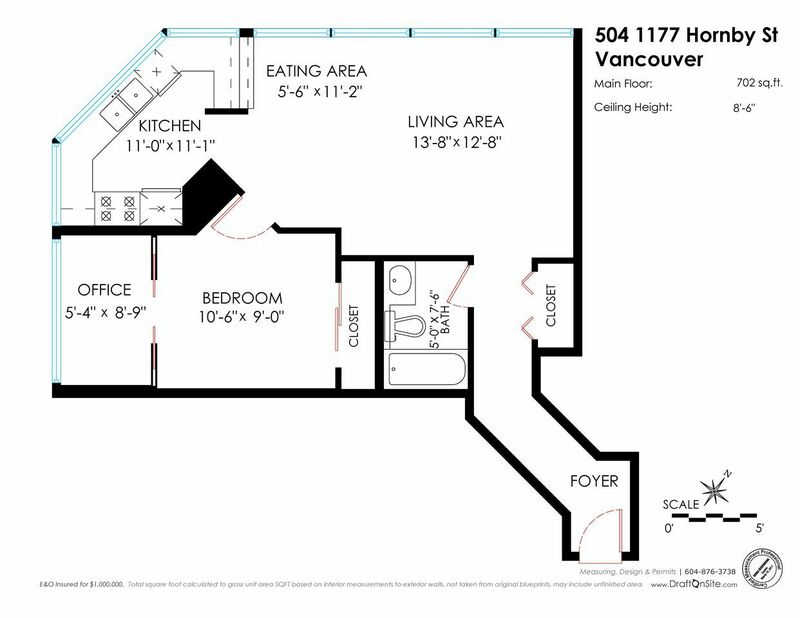 BONUS: Overheight 8'6" ceilings plus 1 PARKING & TWO STORAGE lockers!